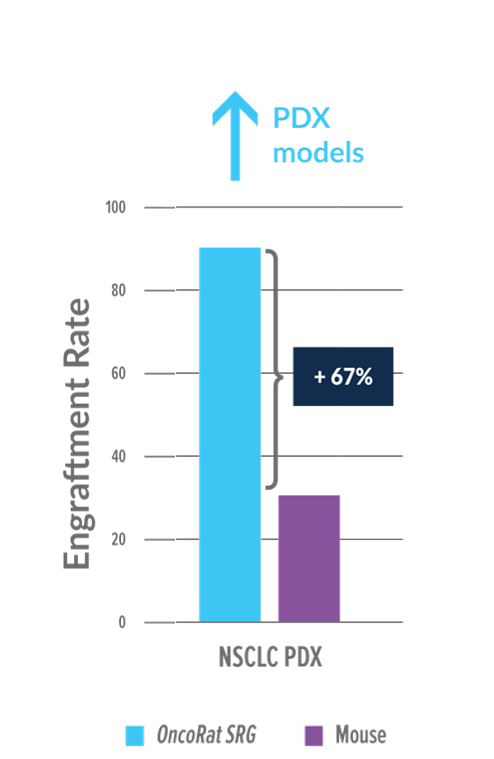 Patient derived xenograft (PDX) studies in OncoRat reveal that the enhanced tumor growth and uniformity seen for cancer cell lines translates into PDX models as well. Take rates are significantly improved in comparison to mice; meaning more PDX models can be created from tumor samples. 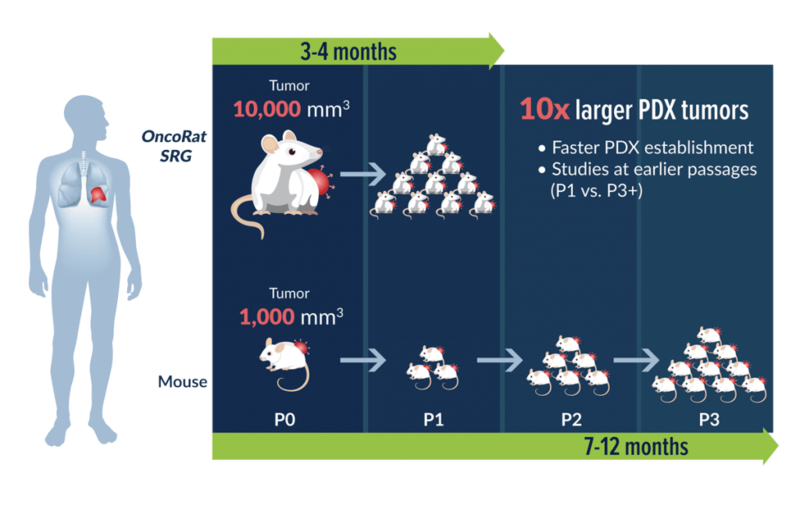 Tumors grow 10x the size of mouse allowing for PDX establishment and characterization, including efficacy in a single passage, compared with 5 passages for NSCLC PDX in mice1. 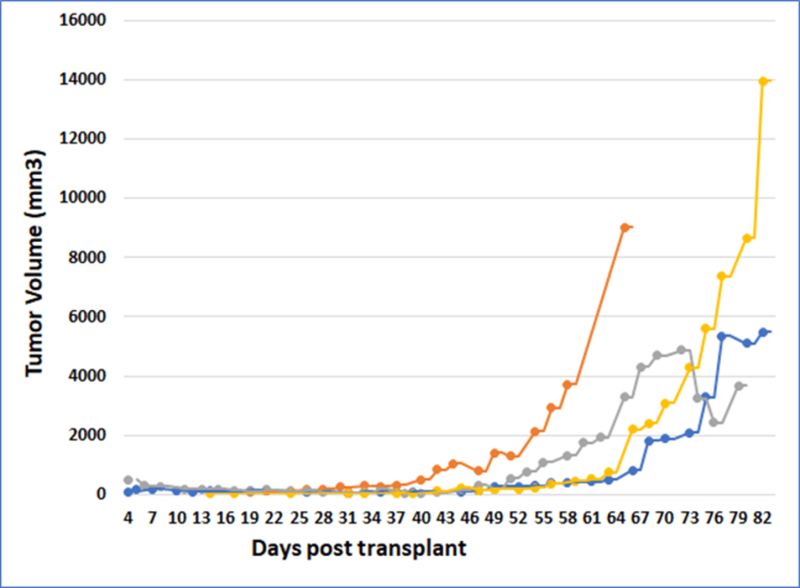 OncoRat cuts timelines in half or more and eliminates the increased risk of genetic drift from multiple passages observed in mice. Hera provides PDX establishment and characterization as well as efficacy services. Frontiers in Oncology. 2017. v7. article 2.